In our last blog post, we covered how to prepare your sink in order to fix it and how to repair a compression faucet. 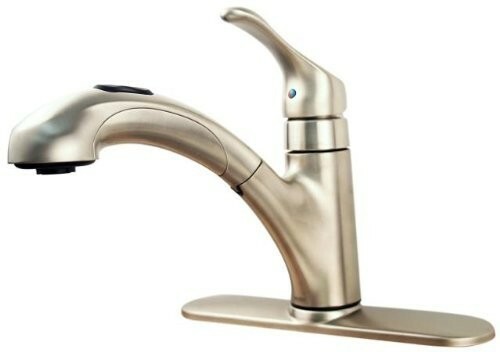 The blog post will include the instructions on how to fix ball faucet, cartridge faucet, and ceramic-disk faucet. It’s easier to figure out if this is a ball, cartridge, or ceramic-disk faucet by looking at the inner mechanisms. You have to buy a replacement kit because of the ball faucet has several parts that need replacing and specials. Don’t worry! You don’t have to replace the entire faucet and the kits tend to run at twenty dollars. You must unscrew the handle and remove it. You use your pliers to take off the cap and collar. Afterward, loosen and remove the faucet cam, washer, and ball. You’ll recognize it because it looks like a human ball and socket joint. You need to use needle-nose pliers to reach into the crevice and take out the inlet screws and springs. You should replace the O-rings by cutting out the old ones, rubbing the new ones in plumber’s grease, then installing them. You should install the cam washers, valve seats, and springs that are in your kit. It’s done in a reverse process from when you started the how-to guide. You can now put your faucet back together. You should remove the handle by prying off the decorative cap and unscrewing it. When you have your cartridge in hand, pull it so it’s lengthened. You should remove the faucet to look for the O-rings. You should take out the escutcheon by removing the handle. It sits directly underneath it. You should take out the disk cylinder, which will expose the neoprene seals underside. You should pry out those seals, cleaning them and the disk cylinder with white vinegar. Let it soak for several hours then see if you can still use it. You can now put your faucet back together, but be careful! At this point, you should test turning the water on because if it’s too forceful, you may crack the ceramic disk. The post Leaking Faucet: How to Repair a Ball Faucet, Cartridge Faucet, and Ceramic-Disk Faucet appeared first on Knoxville Plumbing | Plumber in Knoxville | Plumbing | Tennessee.